Healthcare cost control is particularly important for self-employed people. 1. Can I Take a Health Savings Account Deduction Even If I Take the Standard Deduction on My 1040? According to the Bureau of Labor Statistics, household spending in the United States on healthcare expenses as a percentage of household income has risen from 5.5 percent to 5.9 percent of household income since 1977. If you are self-employed, this may hit you harder, as you may not have access to group health coverage and must pay more for your health plan premiums. Health savings accounts, when used with a high-deductible health plan, may help you save money on your health-related expenses. To open an HSA, you must be covered by a qualifying high-deductible health plan. 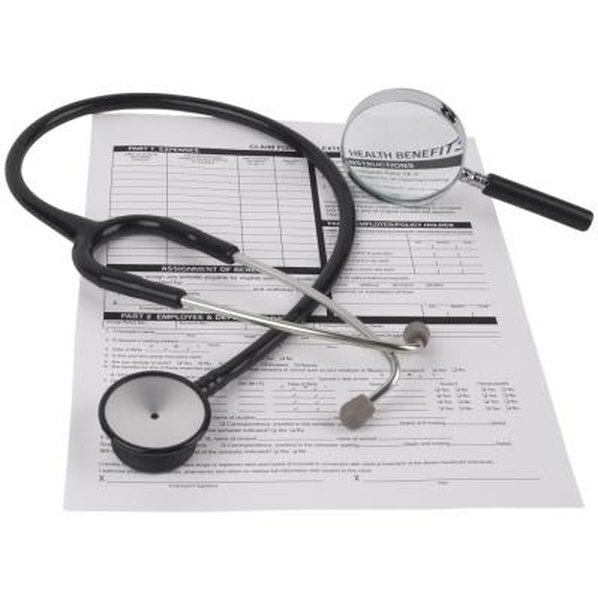 This is a health plan with a deductible and maximum out-of-pocket expenses within ranges specified by the IRS. As of January 2013, a health plan must have a minimum deductible of $1,250 for an individual, or $2,500 for a family plan, to qualify as a high-deductible health plan. Out-of-pocket expenses on a qualifying plan per year cannot exceed $6,250 for an individual, or $12,500 for a family plan. Many health plan companies offer HSAs directly to their covered patrons, with the benefit of having health expense management handled by one party. When you submit a claim for benefits to your plan, it can handle reimbursement from an HSA directly from the claim, eliminating the need for a second request. Local banks also offer HSA plans, allowing you to keep your HSA where you do your business banking. Some mutual fund companies also offer HSAs as part of their portfolio. You can deduct the value of your contribution up to the allowable maximum from your taxable income for the year. These deductions are made as an adjustment to income on your Form 1040, Line 25, and on Form 8829. You do not have to itemize deductions or claim it as a business deduction on your Schedule C. Your maximum allowable contribution to an HSA for tax year 2013 is $3,250 for an individual and $6,450 for a family plan. If you and your spouse are both covered under an HDHP, you can each open an HSA, but you must split the eligible family contribution between both of you. Distributions from your HSA are tax- and penalty-free regardless of your age if you use them to pay for eligible healthcare related expenses. The money can continue to accumulate in your HSA from year to year as well. Unlike employer-sponsored flexible spending accounts, you do not have to use all of the money in the year you contribute the funds. After age 65, you can use HSA money for any purpose, but you will have to pay applicable income taxes on money not used for healthcare expenses. If you use money from your HSA for anything other than healthcare expenses when you are under age 65, you will pay a 20-percent penalty on the money you withdraw, in addition to taxes on the withdrawal at your normal income rate. SmartMoney: Do You Need a Health Savings Account?